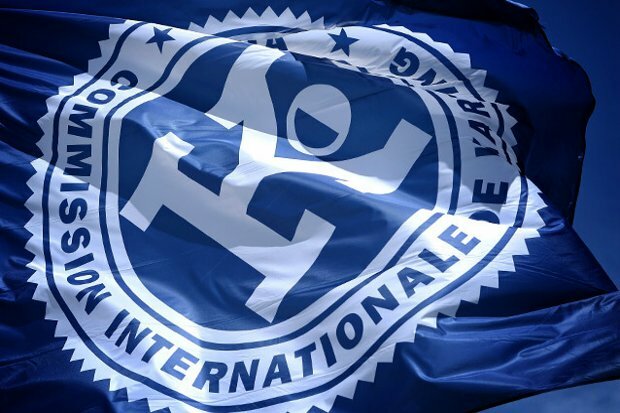 The 2016 international season will start in France at the track of Essay, which hosted the CIK-FIA World KF and KF-Junior Championships in 2014, from April 21st to 24th with a triple show: the CIKFIA European KZ and KZ2 Championships and CIK-FIA Karting Academy Trophy. This will be the first of three 2016 Competitions for these very different categories. 136 Drivers returned their registration form for the Essay Competition, representing a wide range of 47 nations and five continents. France and Italy are competing for the first place regarding the number of participants entered with 21 each, followed by Sweden (10), the Netherlands (7) and Spain (7). The 1220 metres of the International Circuit of Aunay Les Bois is a track with interesting terrain and numerous technical difficulties which are conducive to confounding expectations, which the powerful KZ and KZ2 will discover on this occasion. Their European campaign will continue at Adria (ITA) from 2nd to 5th May for KZ2 and 12th to 15th May in Zuera (ESP) for KZ. The final verdict is expected for both categories at Genk (BEL) from 28th to 31st July with handsome rewards in cash for the top 15 of the two Championships. This year, KZ and KZ2 will use identical tyres of the «Prime» type provided by the Italian manufacturer Vega. The CIK-FIA Karting Academy Trophy will begin its seventh season with several new features. This Competition has over time earned its major role in the detection of young talents aged 13 to 15 from around the world. The circuit of Essay, which has already organised a race of this Trophy in 2011, will this year host 51 drivers from 39 countries. One-make equipment corresponding to the OK-Junior regulations will be provided by the OTK Kart Group with Exprit chassis and Vortex engines, while tyres will be the Vega «Option» type. A good challenge may give more spice to the Competition as the winner of the Trophy will be invited to participate for free in the CIK-FIA World Junior Championship held in Bahrain in November with an official OTK Kart Group team. For this, they will need to triumph after the three Competitions: after Essay, the Academy will meet in June at Portimao (PRT) and will fight it out to the finish at Kristianstad (SWE) in early September. In sporting terms, the CIK-FIA European KZ Championship promises to be as open as ever thanks to the presence of the superstars of karting. The clash between the top teams and top drivers is of such intensity that forecasts often prove hazardous. The top 15 from 2015 will almost all be present to compete for the 2016 title. Flavio Camponeschi (CRG / Parilla / Vega) is the defending champion in front of Marco Ardigo (Tony Kart / Vortex / Vega) and Ben Hanley (Croc Promotions / TM Racing / Vega), while Jorrit Pex (CRG / Vortex / Vega) won the World title in 2015 in front of Paolo De Conto (CRG / Maxter / Vega). The start of the 2016 season has shown Marco Ardigo and the Tony Kart Racing Team to be in great shape. However the French brand Sodi has been able to challenge Italian supremacy with three drivers, Anthony Abbasse, Bas Lammers and Jérémy Iglesias at the wheel of their Sodi / TM Racing / Vega karts. Jordon Lennox-Lamb (BirelART / Parilla / Vega) is also able fight for the title. The frontrunners of the CIK-FIA European KZ2 Championship are firstly the top 10 of the 2015 series. Therefore Luca Corberi (Tony Kart / Vortex / Vega), Paolo Besancenez (Tony Kart / Vortex / Vega), Alexander Schmitz (Tony Kart / Vortex / Vega), Marijn Kremers (BirelART / Parilla / Vega) and Stan Pex (CRG / Vortex / Vega) are among the favourites. But we should not overlook the real chances of Fabian Federer (CRG / Modena Engines / Vega), Nicolas Gonzales (Sodi / TM Racing / Vega), Alessio Piccini (Tony Kart / Vortex / Vega), Mauro Simoni (DR / TM Racing / Vega) or Sean Babington (Energy / TM Racing / Vega) among others. But it is perhaps Leonardo Lorandi (Tony Kart / Vortex / Vega) who has the stronger potential, while surprises can always come, especially from the French drivers racing at home. You never know in advance who will come to the fore in a new season of the CIK-FIA Karting Academy Trophy. Between those who have progressed after initial experience and the discovery of unknown talents anything can happen. In this respect, the 2016 edition promises to be particularly open. Some names may nevertheless be put forward, such as the Briton Callum Bradshaw, the Swede Alfred Nilsson, the Belgian Elie Goldstein, the grandson of the great champion of the 70s François Goldstein, the Singaporean Zi Yang Alvis Ang who has trained in France, the American Jagger Jones or of course one of the two French representatives, Thomas Mialane and Thomas Imbourg. For the rest, the race will be there to provide answers.w The Competition at Essay officially begins on Thursday, April 21st with the first running of the Academy Trophy in the afternoon of Friday 22nd which is reserved for Free Practice for the three categories. Qualifying Practice will begin on Saturday 23rd from 10:20, followed by the Qualifying Heats. On Sunday 24th, the Prefinals from 11:00 to 12:25, and the Finals will close the Competition from 1:35 p.m. to 4:05 p.m.